Have you ever found yourself wondering what an ectopic pregnancy is, what causes one, or what signs indicate an ectopic pregnancy? We have put together an informal guide on spotting the signs of an ectopic pregnancy, which also explains the condition in greater detail, and outlines its possible impact on future fertility. An ectopic pregnancy occurs when a fertilised egg implants itself outside of the womb, usually inside one of the fallopian tubes, which connect the ovaries to the womb. Often it causes pain and bleeding, which may develop into a Fallopian tube rupture with internal bleeding, should the pregnancy be left untreated. This presents significant health risks to the individual as the pregnancy develops, which means that it has to be removed, either using medication or by performing an operation in more serious cases. 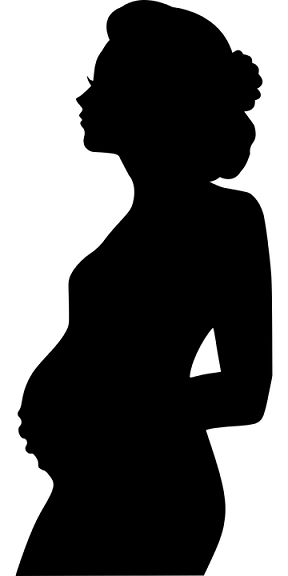 Sadly, the pregnancy cannot be saved due to the serious nature of the condition, which can be fatal if left untreated. While the cause of an ectopic pregnancy isn't always clear, it is sometimes due to an issue with the Fallopian tubes, in the case that they are too narrow or have become blocked. An egg will usually spend around five days travelling down the tube and into your womb, where it should implant and develop if fertilised. In the case of an ectopic pregnancy, the egg hasn't travelled far enough when it implants, leading to it developing in the tube itself. While there are certain factors which increase the risk of an ectopic pregnancy, one in three women who suffer the abnormality will have none of the known risk factors. It is important to know what these risk factors are as it may aid in identifying the condition if you are aware of your own personal risk level. You've become pregnant whilst using an IUD or taking the contraceptive mini-pill. An ectopic pregnancy happens in around one in every ninety pregnancies in the UK, however, this risk increases to one in ten for the individual who has suffered an ectopic pregnancy before. In 98% of cases, it will implant in the Fallopian tubes, but in some cases, the egg can implant in the abdomen, ovary, cervix or within a c-section scar. Identifying an ectopic pregnancy isn't always straightforward because the symptoms can sometimes mirror those of a period or miscarriage, causing cramping and bleeding. The symptoms may also develop gradually, or come upon the individual suddenly, with the early stages sometimes developing without any symptoms at all. Pain in your lower abdomen/pelvis, which can be gradual or sudden, and may be on one side. How Does Suffering an Ectopic Pregnancy Impact Future Fertility? The chances of having a healthy pregnancy after suffering an ectopic pregnancy will depend on the individual, as it relates to the health of your fallopian tubes, and that of the remaining tube if you have had to have one removed. If it has been caused by a previous pelvic infection, this may have a further impact on your fertility. One healthy tube means that you have a good chance of conceiving again, and six out of ten women manage to do so effectively, going on to have a healthy pregnancy. For those who struggle to conceive, IVF may be an option. If you would like to try to become pregnant after suffering an ectopic pregnancy, you should first ensure that you have properly healed from the physical and emotional damage. As always, you should consult your doctor in order to gain the best advice for your personal case. In the case of keyhole surgery, you should wait until you've had at least two full menstrual cycles before trying for a baby, and six months in the case of abdominal surgery. If you've taken methotrexate, you should wait at least three months before trying to conceive, to ensure that it is out of your system completely. If you suspect that you may be suffering an ectopic pregnancy, see your doctor at once, or go to the hospital directly if you feel that your symptoms are becoming worse. The earlyAssure™ scan package from First Encounters Ultrasound is an early pregnancy scan that can identify ectopic pregnancies and other potential issues early on. Click here to book your earlyAssure™ scan. What are the First/Early Signs of Pregnancy? There are lots of symptoms that might indicate that you are pregnant. Bear in mind that pregnancy symptoms are not the same for each woman or each pregnancy. If you find out that you are pregnant, and perhaps need reassurance about your pregnancy prior to your first NHS scan, book in for an earlyAssure™ scan with First Encounters. This scan is available to mums as soon as 8-12 weeks after conception.